Want to know what makes the Ski City Shootout so amazing? Well, in addition to some crazy talented photographers, it&apos;s the fearless, hardworking athletes whose crazy work ethic and ability to collaborate with photographers helps create centerfold-quality imagery. 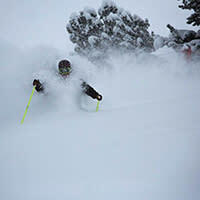 It&apos;s professional skiers with an intimate knowledge of Alta, Snowbird, Brighton, and Solitude. In short, it&apos;s athletes who know what to do, how to do it, and when to make the magic happen. 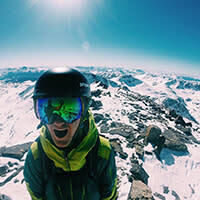 Rob is a freeskiing athlete with a passion for exploration and storytelling. His ski career began as a weekend warrior supported by a data software sales job and packing skis in the 4FRNT warehouse in the evening. The following winter, Rob ditched the work, packed up everything and hit the road living out of the back of his truck camper. 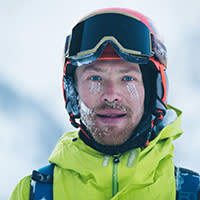 Since then, Rob has travelled and skied much of the Americas from the North Cascades to the Andes in Chile. Most recently, Rob documented a trip to Northern Idaho and British Columbia, traveling by a small twin propeller aircraft. The short film was titled "Peregrine" and you can be sure to see more of Rob in more upcoming backcountry films and projects. Rob is also the founder of Blueberry Island, a social media management agency that helps outdoor companies leverage the social space to grow their brand. A native of Salt Lake City, Eric Balken spends most of his winter skiing at Alta, Brighton, and the Wasatch backcountry. When not playing in the mountains, Eric runs the non-profit organization Glen Canyon Institute. 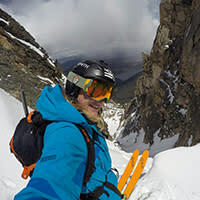 He made a name for himself by scoring the cover of Backcountry magazine in 2012, and winning local photo and video contests like the Ski Salt Lake Shootout and the Peruvian Video Contest. I’m a product of small mountains and icy slopes. I grew up outside of New York City in good ol’ New Jersey—the home of bagels, hair gel and the New York Giants. It’s a strange place to find a love for skiing, but I found it in the rolling hills of Mahwah, NJ. As a convincing 10-year old I duped my parents into letting me take up ski racing, and I’ve been thanking them for it ever since. I attended St. Lawrence University where I majored in skiing and double minored in conservation biology and government. During senior year I discovered these things called, “big mountain freeskiing competitions." I compared snowfall totals and city-to-mountain travel times (just in case I decided to stay), and decided Salt Lake was the place. After graduation, I took the 2011 LSAT, packed my car and drove out west. I hated the drive across Nebraska so much that I haven’t driven back since. I spent 5 years competing in freeskiing competitions all over North and South America, and through all of this time I’ve been lucky enough to call Alta and Snowbird my home. Two years ago I accidentally filled out a law school application and landed myself at the S.J. Quinney College of Law at the University of Utah. While my new hobby has put a minor dent in my ski time, I couldn’t have picked a better place to toe the line between work and play. 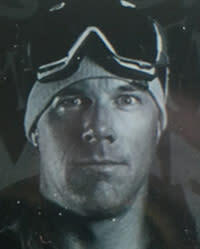 was born in Hood River, Oregon, and grew up alpine ski racing at Mt. Hood Meadows. Ski racing took her to Western State Colorado University in 2008, where she planned to ski for the NCAA ski team. After her first semester, WCSU dropped their race program and Kaytlin was forced to refocus on balancing school and time on the mountain. 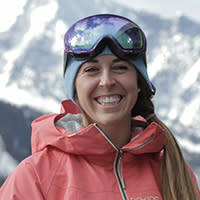 During her sophomore year, Western State began a freeride team that traveled to the big mountain competitions in the region. From here, she placed in numerous freeride competitions which has taken her travels to many parts of North America and South America. 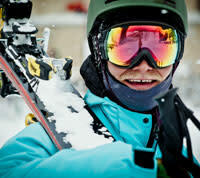 In 2013, she moved to Salt Lake City to get more involved in the skiing industry. 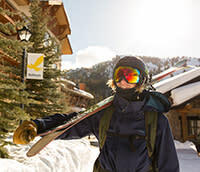 Four season later Kaytlin now calls the Salt Lake City Home and can be found predominantly skiing in Little or Big Cottonwood Canyons. 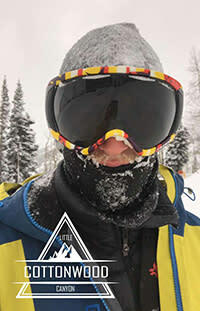 Born in Idaho, grew up skiing the tetons, moved to SLC to study mechanical engineering at the University of Utah, usually ride snowbird, spending most of my season skiing out of revy. I grew up in North Yarmouth Maine, where my father introduced me to skiing at the age of 4. His enthusiasm helped shape a background in racing which I always hoped would go somewhere else. I found myself breaking racing skis in the park when I would sneak off from practice, which confirmed the fact that racing wasn&apos;t for me. I ended up going to the University of Montana where I got my undergrad in Marketing, and furthermore ingrained the fact that I wasn&apos;t going to give up skiing anytime soon. I followed some friends as well as exceptional access to great terrain to Salt Lake City, which I&apos;ve called home for the past five years. I haven&apos;t regretted a second of it. 4FRNT Skis, Saga Outerwear, Lightpole, Alta Ski Area. Mali Noyes grew up nordic skiing in Sun Valley, Idaho. She raced for the D1 nordic ski team at the University of Utah, but after graduating in the spring of 2012, she decided to try downhill skiing. That’s when she bought her first pair of alpine skis and fell in love with skiing downhill. She spent last year competing and traveling around Europe on the 2016 Freeride World Tour. After a lot of crashes and missing the famous Utah powder, she has returned to Alta to enjoy everything the Wasatch has to offer. 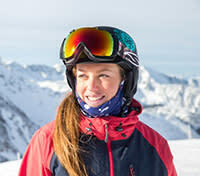 When she is not skiing, she works at the Alta Medical Clinic and is working towards becoming a nurse. 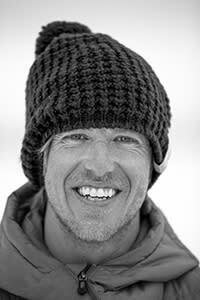 Carston Oliver grew up in Salt Lake City and spends as much time as possible in the nearby Wasatch mountains, where as a skier, mountain biker, and general lover of the outdoors he has been able to pursue what he claims to be "a practical study in human kinematics and gravitational physics." Through his wanderings and adventures over the years he has regularly stumbled onto the pages numerous publications such as Powder, Ski Journal, Skiing, Backcountry, Bike, Decline, Freehub, and Outside, as well as appeared in films by Sweetgrass Productions. McKenna is the quintessential ‘ski bum’. 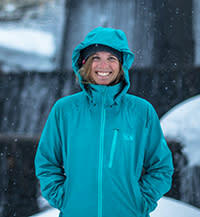 A former Freeskiing World Tour competitor, McKenna spends most of her winter backcountry skiing and chasing snow. She works on a fishing boat in Alaska during the summer months to continue to have winters off. 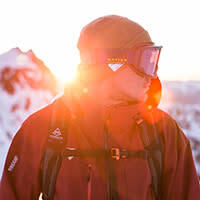 McKenna has 12 years of backcountry skiing experience with extensive trips around the world. 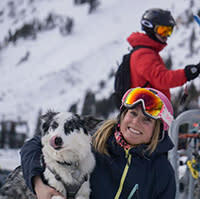 She has worked with world renowned mountain photographers and has been a part of multiple film projects including Warren Miller, Pretty Faces and Stellar Migrations. McKenna skied first descents in Iceland and Greenland while on an all female expedition, aiming to bring awareness to the effects of climate change on the Greenlandic ice sheet. She is a passionate ambassador for The Climate Reality Project. Somewhere between traveling the world and commercial fishing, McKenna has found time to complete a bachelor’s degree in Exercise Physiology from the University of Utah and is a certified Wilderness First Responder. 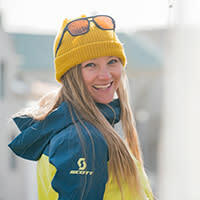 She enjoys documenting her adventures and has had writing published in BombSnow Magazine, BigLife Magazine, National Geographic Adventure online, K2skis.com, among others. Utah skier since age 3. Lover of Salt Lake and it&apos;s surrounding areas. I was born and raised in the fertile ski town of Alta, Utah. Although I respect and love ski history I have found myself drawn to the obscure and different ways of approaching the mountains. I am inspired by snowboarding, surfing, skateboarding, mountain biking, music and dance. The winter blanket of snow over the mountain topography opens up a whole new world of creativity. I have dedicated much of my life to the ski craft and see it as a life practice that I&apos;m able to experience all areas of life through its recurrence. I was lucky enough to call the Wasatch my backyard. The mountain was my babysitter and mentor as a kid. Now I am looking to complete the skiing adventures I have always looked at as a kid. Allie’s grandfather wanted to name her Hillary, of the Sir Edmund variety, when he first saw her climbing over everything as a young baby. She grew up in Vermont, where the mountains naturally became an intrinsic part of her life. Initially a ski racer, she moved west for college and quickly discovered backcountry skiing. 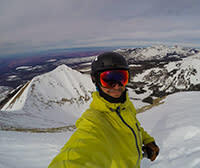 This allowed her to pursue skiing as a self-powered adventure sport, which gave her the opportunity to combine her love for climbing mountains with skiing. Upon graduating from college, Allie found herself in Wyoming freeskiing full time. She competed on the Freeride World Qualifier circuit, earning multiple top 3 finishes. Now, she is focused on ski mountaineering and filmmaking. Currently splitting her time between New Zealand, the Rocky Mountains, and Alaska. Born and raised in Vail, Colorado skiing was a close second to walking. The mountain was my playground, the ski school and race programs were my daycare. I started out as a ski racer but my passion was in the powder. In high school I traded off between race skis and tele skis, finally committing to a broken binding for the next six years. I moved to Bozeman, Montana for college where I earned my Bachelors of Science in Nursing. Throughout my years in school I competed in big mountain telemark competitions and explored the slopes of Bridger Bowl and Big Sky. In pursuit of more work experience and a change in mountain scenery I found myself in Salt Lake City. I count myself lucky to call Alta my home mountain, to have finally locked down my heal, and to have the opportunity to juggle life as a ski bum, Alta Clinic Nurse, and Cardiac ICU nurse. I&apos;ve been a Utah resident for 21 years now. I&apos;ve been competing in everything, starting with alpine racing in high school, freestyle moguls, slope style, big mountain freeskiing, photo contests and Chinese downhill!! I love skiing, always have, always will! !